(3 Customer Reviews) | Write Review 6 issues per year The longest established and globally renowned quality publication showcasing the World’s very best armour modelling artists presented in a rich, visual format. Highly detailed images, text and step-by-step guides share the techniques of award-winning modellers to improve your own work and enjoyment of the hobby. All of the latest kits, accessories and materials are tried, tested and reviewed along with new modelling and military publications. The longest established and globally renowned quality publication showcasing the World’s very best armour modelling artists presented in a rich, visual format. Highly detailed images, text and step-by-step guides share the techniques of award-winning modellers to improve your own work and enjoyment of the hobby. All of the latest kits, accessories and materials are tried, tested and reviewed along with new modelling and military publications. 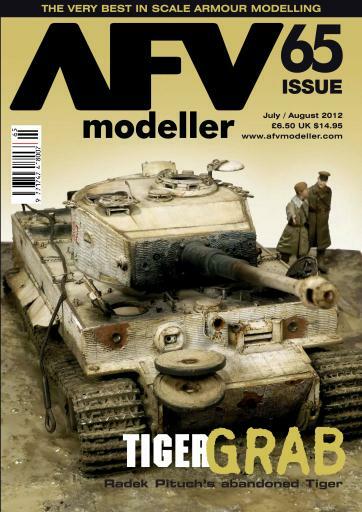 You'll receive 6 issues during a 1 year Meng AFV Modeller magazine subscription. 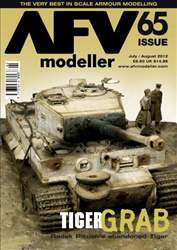 You'll receive 6 issues during a 1 year Meng AFV Modeller magazine print subscription.